Sam Moore’s little brother vanished fifty years ago. No body. No answers. What Sam has is a boatload of guilt, since he failed to accompany Billy on his final, fateful bike ride. While digging in his garden, Sam discovers a green marble with a startling secret—it whisks him back to his childhood, connecting him to Billy. Thrust back and forth through time, Sam struggles to unlock the secret of his brother’s fate. When the FBI investigates remains found nearby, Sam learns of a serial killer with a grisly fifty-year record. Sam’s certain it’s Billy’s killer. But what’s worse, his grandson fits the profile of the murdered boys. Will the killer return to Sam’s town to claim his final kill? Can Sam untangle the truth in time to save him? Sam Moore was free. Free from the tether of the alarm clock, pushy pharmaceutical reps, runny noses, and waiting rooms packed with patients. On the first day of retirement, at the age of 62, he was ready for a change. He stood behind the barn and looked toward the garden. It lured him with a peculiar intensity he’d never been able to explain to Rachel. The pull was visceral, infused with a strong lust for the land. Cirrus clouds skated across the sky, racing eastward. The cool May breeze ruffled his hair, caressing him. He should be happy. But a familiar sense of melancholy washed through him. It was always there, ever present. It retreated occasionally, when he was busy caring for patients. But as soon as he stopped — to take a breath, to look out the window, or to eat his lunch — that undercurrent of sadness, born of loss, returned. It had been this way for fifty years. Fifty years of longing for the truth, of missing his baby brother. A flurry of starlings swooped past him. Their trickling waterfall calls resonated, frightening the goldfinches feasting at the thistle feeder. He watched the birds settle on the branches of the black walnut tree. Their blue-black plumage glistened in the sunlight. The breeze rose, stirring the leaves in the cottonwoods. Sam shot a glance toward the house, embarrassed to have such thoughts. He was glad Rachel couldn’t hear the crazy ideas that populated his mind. Sam’s heart blackened. He hated this part. If Billy were kidnapped, he would’ve tried to come home once he gained access to a car. He had been old enough when he disappeared to remember what town he grew up in. So…if he hadn’t returned, he must be gone. Gone for good. Sam sighed again and pushed back his thick gray hair. Two starlings lit on the birdfeeder and pecked at the seeds. The wooden feeder was flanked on both ends with suet holders, and Sam’s hands were greasy from the peanut-flavored cakes he’d slid into the receptacles earlier. A woodpecker hung upside down, poking at the treat. As he watched the birds, he realized it would be harder now to ignore the questions plaguing him about Billy’s fate. He’d have time on his hands. Lots of time. Aside from tending to Rachel’s needs and babysitting the boys, he’d have hours to imagine the best and the worst. He’d just have to keep busy. Squaring his shoulders, he walked into the barn and yanked on the starter cord of the rototiller. It coughed, belched black smoke, and stalled. He nudged the choke back and tried again. The engine roared to life. Sliding the choke all the way back, he shifted the tiller into reverse, and backed out of the barn. Sam guided the tiller toward the garden. The wet grass needed mowing, though it had been cut four days ago. May had been festooned with rainstorms, a real record breaker. The knobby tires dug into the ground as he passed the bearded iris bed behind the wooden fence bordering the cutting garden. Saffron, cranberry, pristine white, and pale lavender-blue petals clamored for attention beside the Japanese Kerria, whose tiny orange flowers glowed on the branches. His mind drifted to patients and the young doctor who’d taken over the practice. I wonder how Garcia’s doing? He’d dreamed about retirement for the past forty years. And here he was, on his first day of freedom, about to embark on a full day of gardening until he dropped into the lovely sleep born of physical exhaustion — and his first thought was about Garcia. Doctor Andrea Garcia had worked by his side since she graduated from the University of Rochester Medical School. She was good. She’d take excellent care of his patients. But would she remember to test Jenny Boyd for strep? The annoying voice hissed inside his head. Forget about it. It’s not your job. Not anymore. It was hard to sever himself from a practice that flourished for forty years. Forty years of growing this “limb” that became such a part of him, and everyone expected him to simply chop it off. Just like that! It wasn’t going to be easy. He stopped and looked at the cloudless sky. The strong sun shone through pure azure, although it was just eight o’clock in the morning. Leaves rustled in the whispery willow and sugar maples that dotted the grounds. He smiled, drank in the scent of honeysuckle perfuming the air, and propelled the tiller forward. The jungle was off to his left. He’d hacked away at the bamboo-like shoots for weeks. The official name of the rapacious weed was Japanese Knotweed, a rapid-spreading invader that killed everything in its shadow. Last year’s stalks were dry and crisp. They stood twelve feet high, crackling in the breeze. He imagined them taunting him, calling to him. You can’t stop us. We’re taking over. In the past few weeks, he’d removed half of the patch that stretched over five thousand square feet, but there was a lot left to clear. Yesterday’s bonfire had been impressive. Fueled with dried knotweed, dead apple tree limbs, and bundles of crispy weeds, it roared into an inferno, inciting stares from passersby. The coals were still warm when Sam added more branches to the pile that morning. He reached the vegetable garden near the above ground pool and set the tiller in motion between the wide rows of sugarsnap peas and asparagus. Rachel and he had feasted on purple-tipped asparagus for the past few weeks. Asparagus on buttered toast. Mmmm. His stomach growled. He’d skipped breakfast and bolted outdoors before the sun had crested over the hill. Sam muscled the machine around the row of peas and started on the other side. The soil churned like butter. Baby beets grew thick within the long row. He smiled again, pleased with the result. He’d defied Upstate New York conventions and had boldly planted the beets at the same time as the peas. It was on March 27th, a rare, eighty-degree day, perfect for the first till. Normally, the beets went in during the first week in May. This year, he pushed it ahead and hit pay dirt when they flourished in the cold, wet weather of April. The thick greens were five inches tall now. He and Rachel would enjoy sweet buttered beets by the fourth of July. Sam reached the end of the row and followed the expanse of the Swiss chard, lettuce, and dill. A few volunteer potato plants from last season pushed through the dirt. They towered over the others, ungainly and unexpected. He considered yanking them in the interest of neatness, but couldn’t do it. They’d survived the winter. They’d earned the right to grow. Lila trotted out of the woods. Her sleek, white body moved with feline fluidity. She meowed twice, raising her tail in greeting. Sam switched off the tiller and leaned down to pat her. She pushed her head against his hand and turned in small circles as he made a fuss over her. She purred and placed her delicate paws on his knees as he squatted beside her. He stroked the smooth fur on her neck and scrubbed his fingers behind her ears. When Lila was satisfied, she abruptly terminated the liaison and trotted toward the house. Sam restarted the tiller, finished working the soil between the corn and potatoes, then headed over to the knotweed patch. He was ready to dig today. Although the job of clearing wasn’t yet complete, he ached to set tine to soil and stir it up. It would allow him to smooth out the area, rake it, and eventually mow the knotweed to death. He maneuvered the tiller over the lawn to the knotweed jungle and slowly worked the soil. The weed colony was founded when he and Rachel owned horses, years ago. When her multiple sclerosis worsened and she needed the wheelchair, the animals were sold, and the knotweed multiplied, infesting the edge of the woods. By the time Sam retired, it had grown expansively, creating “the jungle.” Sam was obsessed with ridding the landscape of the infectious weeds. Listed first on his retirement list, he planned to turn the area into a lush lawn, opening it to the line of heirloom apple trees edging the woods. Something sparkled from the earth. Sam leaned down and poked at the soil, uncovering a clear glass bottle. He lifted it to his eyes, brushed off the dirt, and read, “Bayer Aspirin” in raised letters running down the side of the tiny vessel. He pocketed it. Rachel would want to clean it and add it to her collection. Such treasures frequently popped out of the earth around the house and barn. Long ago, it was common practice to bury trash before the introduction of garbage trucks. Since the house was built in 1815, Sam anticipated an abundance of finds. He continued tilling until he connected with the tough, woody root of a knotweed plant. The tiller bounced as it tried to unearth the root. Eventually, after coming at it from several directions, it popped out of the ground. The offender was ten inches long, knobby, and misshapen. It resembled a piece of wood. Pink shoots of baby knotweed sprouted from the chunk. He threw it into the wheelbarrow. After letting it dry in the sun for a few days, he’d burn it. Another object flashed from the dirt. Sam backed up the tiller and dug with his fingers until they closed around a small marble. He picked it up, rubbed it on his jeans, and held it to the light. The sphere was small and partially opaque. A cat’s eye. He turned it in his fingers. Light sparkled through glass the color of lichen, a muted, pale green overlaying swirls of deeper green within. He smiled, put it in his pocket, and continued until hunger drove him in for lunch with Rachel. He wiped the napkin across his lips and pushed back from the kitchen table. Rachel smiled and patted his hand as he walked past her wheelchair with his dirty dishes. He looked over his shoulder. She motioned toward the sink. He rinsed the dishes and smiled. A look of surprise crossed her face, followed by a frown. Sam returned to the table to collect the glasses and pan of asparagus. She brushed aside her graying bangs. His eyes widened and he dropped into the chair. Her voice fell at the end of the sentence. Sam reached for her hand. She shook her head. Tears welled in her rich brown eyes. He digested her words as memories of their past flashed unbidden across his mind. The diagnosis came when their children were born, over thirty years ago. Sam brought Rachel to the best neurologists in the country, but as the symptoms clarified and worsened, he knew before they did. Multiple sclerosis. It progressed slowly over the decades, relapsing and remitting as it ran its curious and elusive course. The exacerbations were periods of unusual exhaustion, facial and limb numbness, and weakness in the legs accompanied by frequent bouts of depression and anxiety. Six months ago, Rachel’s legs gave out. She’d tried a cane for a while, but fell three times. Finally, and with much angst, she accepted the small scooter Sam purchased for her. She swapped between a lightweight wheel chair and the electric scooter, depending on the circumstance. Sam looked into Rachel’s eyes. They were still beautiful, after all these years. He leaned over and ran his rough fingertips along the soft down of her cheek. She brushed at her eyes and squeezed his hand, flashing him a familiar look of affection. The thought of the cool blue air called to him. He felt the pull of the garden as he fidgeted in his chair. His hands ached to be in the soil again. There was weeding, mowing, planting, mulching, and clearing to be done. It was a powerful force. Sam walked back into the sunlight, refastening the Velcro on his back brace. It was a simple arrangement. Stretchy straps worked like suspenders, and the wide, nylon brace was worn low on his back. He repositioned it, took a deep breath, and started toward the knotweed colony. As he headed out, a memory flashed through him. It was brief, but palpable. He was twelve years old. Billy was eleven. They walked barefoot along the hot pavement after a spring rain. The tar was deliciously soft and warm beneath their feet. Rain puddles sizzled and misted on the road. The boys laughed, then raced home to dinner. Steak, corn on the cob, baked potatoes, and salad. Billy’s favorite. May thirtieth. Billy turns sixty-one today. The little baby brother who slept in the bottom bunk, who breathed hot, sweet breath on his face when they hid in the closet beneath the stairs, who offered his sticky, warm hand during scary movies, and who mysteriously disappeared on his eleventh birthday — would be sixty-one today. He closed his eyes and let the wind blow across his face. The breeze lifted his hair. Sam felt the cool soft touch of the air on his leathery skin. He pictured his baby brother communicating with him from Heaven. He’d often imagined it, and was comforted by the thought. He opened his eyes, sighed, and ambled toward the stone campfire. Sitting down on the old iron bench, he wondered for the millionth time what happened to his brother. Sam reached into his pocket and fingered the green marble. It reminded him of the marbles they played with as children. He closed his eyes again as he rolled it in his hand. The smooth glass slid between his fingers, warming his hand, then grew almost hot to his touch. Surprised, Sam plucked it from his pocket and inspected it. The strong overhead light glinted on the surface. It seemed to glow from within. He cupped his hands around it, puzzled by the intensity of the heat. Instantly, Sam was blinded by a green flash that forced his eyes closed. Shimmering, ghostly images danced before his mind’s eye. The sound of children playing reverberated in the air. In seconds, he was transported to another realm, wrapped in a rolling cloud of effervescent, green swirls. An orange school bus trundled along the country lane and stopped at the corner, red lights flashing. Black smoke spewed from the tailpipe. Two boys disembarked, the doors whooshed shut, and the bus lumbered down the road. Sam floated in the air, hovering over the two boys. They skipped along the road with lunchboxes banging at their sides. His lungs constricted when he realized the younger boy was Billy. He tried to get a look at the other boy, then reeled in shock. There was his old Beatles lunchbox. And his Dodgers cap. And his little brother. Right there. Close enough to touch. The boys turned and waved at the kids on the bus. Several faces peered through the windows. Bruce McDonald. Harvey Allen. Doug Smythe. Renée Snell. Doug, the youngest, stuck out his tongue. Renée fluttered her fingers daintily. Young Sam’s young heart quivered in response and Sam felt it in his adult body, as if he were actually experiencing it. Harvey and Bruce, Sam’s best friends, waved goodbye. As the bus pulled away, Harvey rubbed his knuckles hard against Bruce’s crew cut. Sam remained suspended, observing his childhood self and Billy as they bounced down the road, but with each breath he linked to the young boy beneath him… feeling his small chest rise and fall, sensing the energy pulse through his slim arms and legs. The wild sense of disbelief was curbed by the loss of control and tempered by the sensations rushing through him as he experienced the emotions of his twelve-year-old self. Reeling with puppy love for Renée, the memories crystallized. She’d offered him a fireball today on the way home. He’d blushed furiously, and accepted. He’d done well on his English test and couldn’t wait to show his mother the A on his paper. Thoughts flooded his brain as the connection to his past sizzled and popped into clarity. It was Friday. Excited about the backyard sleepover scheduled in his yard tonight, he’d invited Harvey and Bruce. As the thoughts gelled, Sam whooshed into his young body. The boys tripped down the lane, laughing and chucking rocks into wheat fields lining the road. They slowed when they approached the Healeys’ house. It glowered from the roadside with unpainted clapboards sagging away from a rotting frame. Dirt smeared the cracked windows. Mr. Healey rocked on the porch. Back and forth. Back and forth. He stared at the boys through slitted gray eyes. Sam’s heartbeat quickened. A car roared behind them. Manfred Healey squealed to a stop in his old Chevy behind Sam and Billy, honking the horn. The boys skittered beyond the driveway. Manfred peeled out and swiveled into the gravel drive, screaming at them. The boys ran for their lives, tearing up the road in their Keds until they reached the safety of home. Sam put his arm around Billy’s shoulders after they’d stampeded up the porch steps. “We made it,” he panted. Billy’s hazel eyes crinkled with unspoken words of relief, bathing in the bond of brotherhood and shared fears. The vision clouded. Swirled. Misted over. As Sam lost touch with the past, he heard the thoughts of another. The ferocity of the words nearly jolted him out of the reverie. Or trance. Or whatever it was. It came again. Smoldering. Pure hatred hammered against his brain as the thoughts screamed through his head. Sam’s back ached and his joints had stiffened. He opened his eyes and stretched his arms as the harsh tones of the voice resonated in his brain. The sun had traveled far across the sky since lunch. Surprised, he looked at his watch. It was two o’clock. He’d been sitting on the bench for an hour and a half, clutching the marble in his hand. It was warm from his skin, but not hot. Or glowing. He looked at it, shook his head, and dropped it back into his jeans pocket. “I’m losing it,” he said aloud. A chickadee landed on the black walnut tree and chirruped. Sam unfastened the back strap, shifted on the bench, and massaged his back. It throbbed from yanking the tiller around all morning. He sighed long and loud. It must have been a dream. I’m not used to so much physical labor. Nodding as he convinced himself, he theorized he must’ve dozed as he sat in the cool, fresh air. But the memory was authentic. The kids on the bus, the Healey boy. They’d all been real. Harvey Allen and Bruce MacDonald were his boyhood pals. Together with Billy, they’d hung out together and often included Doug Smythe, who was a year younger than Billy. Sam laced his hands behind his head and thought about his childhood friends. Doug inherited his folks’ house and lived about a mile away. He’d always been a little annoying, constantly trying to hang out with the older kids. Still exasperating in the present day, Doug was cocky and had become progressively overbearing as he aged. Harvey, tall and athletic, was a straight shooter and honest to a fault. After joining the Marines at graduation, Harvey had returned eight years later to Conaroga to open a family restaurant. It still thrived. He lived with his family halfway between Doug and Sam’s house. Chuckling to himself, Sam thought about Bruce. The nerd. Small, klutzy, and smart as a whip. He attended elementary school with Sam, then was shipped off to a private boy’s school in New Hampshire. He graduated first in his class and had been welcomed to Harvard. There, he served in the ROTC, and after graduation he worked his way up the political ladder until he was elected to the Senate thirty-six years later. Bruce had sprouted and reached a respectable height of five-foot-eleven by the time he graduated high school. Today, he was jockeying for a presidential nomination in the Republican party. He glanced toward the house as a flash of guilt trickled through him. Renée was his first love. She’d mesmerized him in the sixth grade. He remembered watching her in fifth period social studies. She sat right in front of him, with her soft pink button-down sweater and her smooth yellow sundress. He’d absorbed every detail of her appearance, every day. Every nuance of her motions, her words, her expressions. Even down to the part in her hair. He’d lost his voice each time he saw her; becoming a stuttering lunatic. That is – until Billy disappeared. Sam stood and massaged his back again, remembering the black time in his life. When Billy left, he simply died inside. He’d dried up, evaporated, almost blown away. They made him talk to a psychiatrist, who put him in an institution. The guy smelled like disinfectant mouthwash and powdered hand soap. It hadn’t helped, and the nutcases with whom he’d been surrounded made him feel even crazier. The doctors at the institute tried to convince Sam that Billy’s disappearance wasn’t his fault. But he’d known better. He lost interest in girls for a long, long time. Throwing himself into his studies, he’d graduated with honors and progressed to Med School at the University of Rochester. Years later, Sam finally started his own practice and met Rachel. She waltzed into his office to apply for the secretarial position, and landed the job immediately. Sam remembered her from high school, but the woman who’d appeared in his office had been radically different. Poised, elegant, soft, and appealing, she breathed warm, sweet life into him. He re-awakened, and married her within the year. In spite of Rachel’s affection and friendship, however, Sam never completely regained his balance after losing Billy. Even now, fifty years later, it ate away at him. He crossed his arms and stared into the woods. Fighting the melancholy that threatened to break through, he sighed. The dream had seemed so real. Billy was alive. Alive! Billy, little buddy, where are you?. Billy, little buddy, where are you? Aaron Paul Lazar writes to soothe his soul. The author of LeGarde Mysteries and Moore Mysteries enjoys the Genesee Valley countryside in upstate New York, where his characters embrace life, play with their dogs and grandkids, grow sumptuous gardens, and chase bad guys. 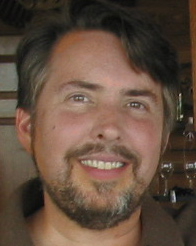 Visit his websites at www.legardemysteries.com and www.mooremysteries.com and watch for his upcoming release, FIRESONG, coming Winter, 2010. © 2006-2010 All Rights Reserved by Aaron Paul Lazar.